We get so excited about the possibilities that could come from the integration of lynda.com and LinkedIn. Imagine being a job seeker and being able to instantly know what skills are needed for the available jobs in a desired city, like Denver, and then to be prompted to take the relevant and accredited course to help you acquire this skill. Or doing a search on SlideShare to learn about integrated marketing and then to be prompted with a lynda.com course on the same subject. Both lynda.com and LinkedIn are used by small and large organizations that place a high premium on talent — whether its acquiring it, training it, or retaining it. lynda.com’s video content is used across academic institutions and companies alike to help train their employees and to educate students. LinkedIn acquires lynda.com - Why is this so interesting? 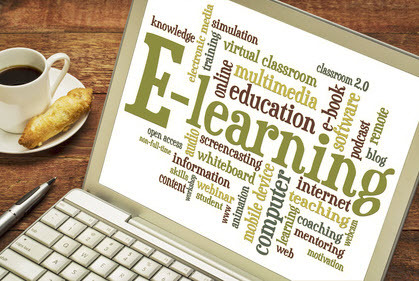 At some point in the very near future, e. Learning is going to be directly available to over 300 million “business” users directly from a tool they use every day. That could have significant impacts across both business and education. 1. If one had to guess, how might LinkedIn integrate this deal? My expectation would be to see this integration align most similarly to the integration & use of SlideShare Vs the roll out of their college initiative for a number of reasons. Perhaps the biggest is that it aligns more naturally with their main audience Vs trying to enter a new audience (which has yet to grow into the required skills to use this site most effectively). Keep in mind that LinkedIn already has an integration with Udemy (5 million registered users- eLearning). For instance, if you take my Udemy class and you will receive a certificate of completion on LinkedIn. The value of a certificate like that in the marketplace is going to dictate the value LinkedIn’s future eLearning. 2. How will this impact traditional centers of learning like Universities? In the short term, I wouldn’t expect much of an impact. Over time, a successful roll out of this would probably impact, on a trickle down basis, Executive Education first followed by post graduate and then traditional. The impact on traditional is probably multiple years away while the Exec Ed impact is most likely much sooner. 3. How will this impact the job seeker? This is what LinkedIn appears to be banking on. In today’s economy, there is always the talk about the lost worker. The person whose skill set has been rendered obsolete. This could be the most meaningful tool (nay a potential life-changer) they could plug into as it will be readily accessible and most likely at a low cost. However, with an eye toward profit, LinkedIn is probably looking at this driving more job placement in the existing workforce, which is a place they hold a unique market position. 4. Is there a need? As someone who has taught multiple Exec Ed classes and MBA students, it is clear these students are requesting this type of learning for multiple reasons including; ease of access, on-demand access and ability to get reacquainted with the material. The current issue today is the quality of the supply to meet that demand. Ultimately, this will flow nicely with the shift from the desktop to the mobile device and the ability to provide mobile training on the go. So what do you think? Was this a good deal by LinkedIn? Where does online training fit in today’s business as well as how should it be positioned for planning tomorrow’s workforce? Let us know what you think. 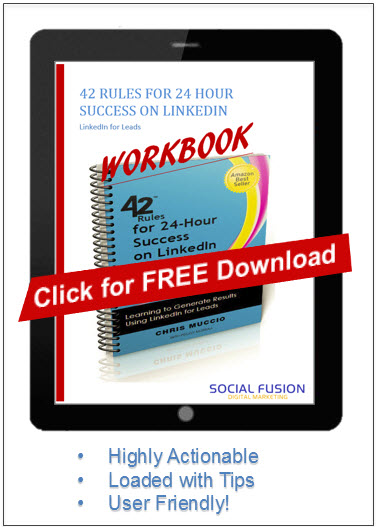 In the meantime, if you are interested in using LinkedIn more effectively, we have our free workbook for you to download below.